Did you get the sense last Saturday that we love fall apple season? If not, we’ll try to convey those feelings again: Reason #424 that we love this time of year is that we can make apple chips (and more). 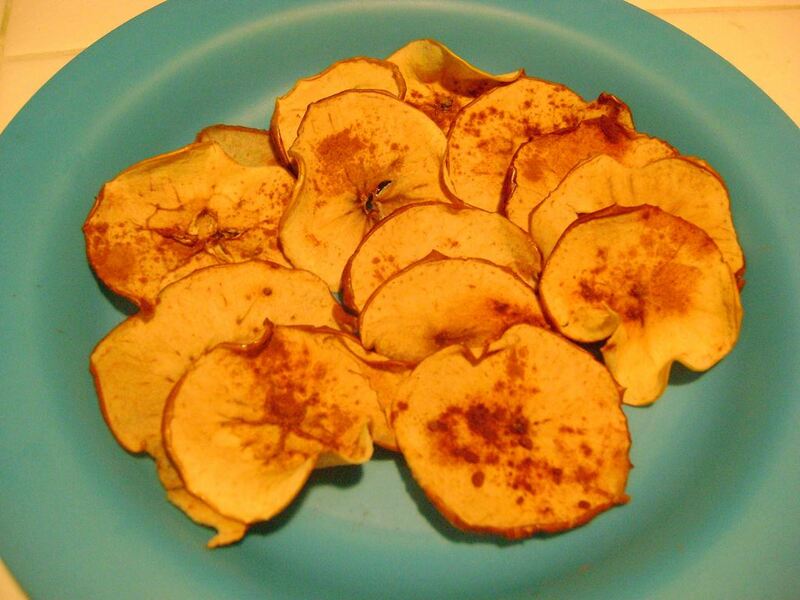 Apple chips are fun to make and a great little snack. In fact, the only down side is that you may find yourself eating the entire batch at one time. 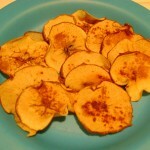 We like this simple apple chip recipe from Purple Foodie. This is one of those recipes that works well with a little kid helper. 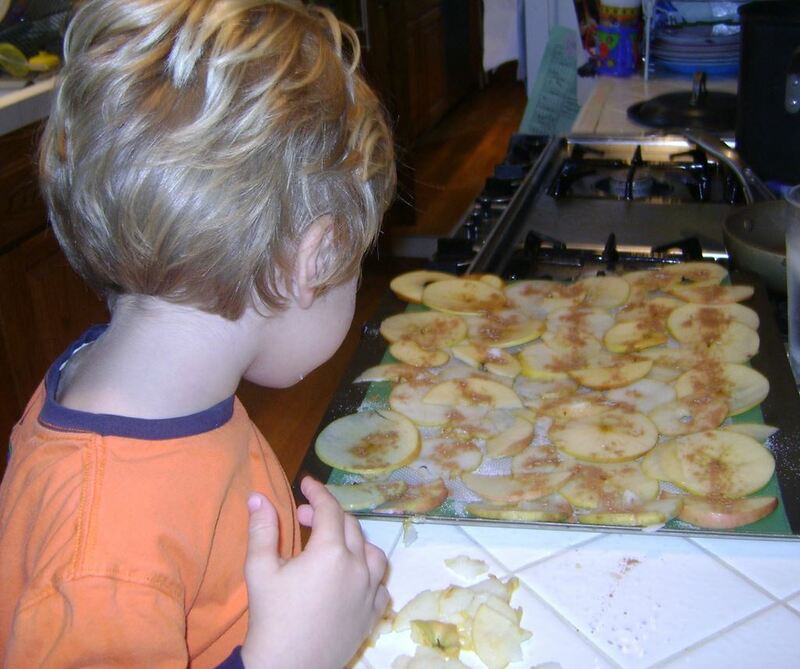 As soon as you slice the apples, your kid helper can plop them right into the lemon water. Plus, your helper can supervise the sprinkling of the cinnamon and sugar. 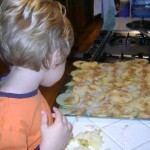 The one challenge, if you don’t have a mandoline, is to get the apple slices thin enough. Also, this is one of those times when you will really want a silicone baking sheet or Silpat. You can use parchment paper, but the apples get pretty sticky and you may have a problem with them sticking to the parchment. We like to mix it up a little bit by making pear chips too. But be forewarned – the pears seem to take a little longer to bake and dry out, particularly if they are a little more ripe or juicy. Ours were in the oven for four hours…but still, worth the wait. Fun Food Saturday: Because food should be fun.